The IntelliGolf® Par edition software includes all of the handheld software you will need to automate golf scoring, wagering, and shot tracking on the golf course. Version 9.x now includes the ability to track shots for hybrid clubs, adds more sidegames and a new club selector feature, plus more. IntelliGolf - Golf’s #1 Scoring Software in 125+ countries worldwide! Use the included IntelliGolf handheld software to automate golf scoring for up to five golfers (i.e. fivesome) per round, for an unlimited number of rounds and players. Track shots for every club. View basic statistics and graphs. Keep course, round, and hole notes. IntelliGolf will even add up your group’s wagers using any of the thirty-five (35) included sidegames (e.g. skins, birdies, stablefords, etc). Let your handheld do the work for you! For even more functionality, look to the IntelliGolf Birdie edition software. The Birdie edition is a superset of the Par edition. It includes the IntelliGolf 1) Handheld software, plus adds 2) Windows-based desktop software, and 3) Synchronization-compatible software all-in-one. With the Birdie edition, you will be able to upload all of your handheld-collected scores and statistics to your PC. In full color, view cumulative round statistics and charts for every club, course, and round with the click of your mouse. Quickly spot areas of improvement and areas for improvement. The Birdie edition desktop software will approximate your handicap, print scorecards, and export round results in XML and HTML format for posting to the web. Plus, Birdie edition customers can access and download any of our Internet-based signature courses, for use with IntelliGolf, via their web browser. Manual scorecard entry is a thing of the past with IntelliGolf. The IntelliGolf Eagle software includes the Birdie edition's handheld/smartphone, Windows desktop, and synchronization software plus adds our latest IntelliGPS® handheld technology (GPS + Bluetooth support) for only $10 more. The Eagle software provides the ability to view distances and track shots from from tee-to-green with GPS accuracy using industry-leading GPS receivers and your handheld/smartphone. Club selection has never been easier. Join golfers in 125+ countries worldwide that are using the IntelliGolf to improve their game, increase their winnings, and have more fun on the course. IntelliGolf - Golf's #1 Scoring Software! Get it today. User Instructions: To view our Quick Start Tours (i.e. on-line manual with screen shots) please click here. Have a Great Round! 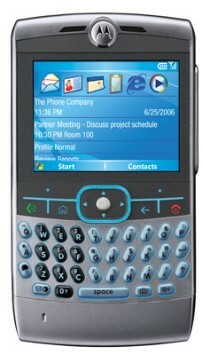 * If you own a Palm, Treo, Pocket PC, or Sony Ericsson or Nokia smartphone please see our other listings for IntelliGolf.